Infertility is commonly treated through intrauterine insemination (IUI). Besides, there have been scarce reports of infectious complications as intrauterine insemination complications. Case Presentation: This presentation presents the cases of bilateral tubo-ovarian abscesses after intrauterine inseminations in a 40-year-old woman with secondary infertility. Salpingectomy and hysterectomy were also needed despite treatment with triple antibiotic. Moreover, the diagnosis of tubo-ovarian abscesses was confirmed by means of pathological evaluations. Following surgery, the patient responded well to antibiotic therapy. 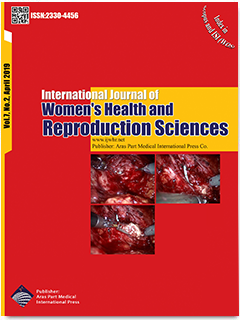 Conclusion: Given the ascending trend of pelvic infections, the IUI-assisted violation of the natural cervical barrier can theoretically pose higher risks of this complication to the patients,it is highly recommended that Pelvic infections be rejected before IUI, As well as Early diagnosis and intervention are necessary to minimize morbidity and optimize treatment.